In this post, I will share with you top 15 best earphones under 1000 Rs. After using plenty of the top rated in the ear, on the ear, and over the ear headphones, I summarized this list. Here I will cover earphones ranging from 600Rs to 1000Rs. So if you are searching for best earphone for your mobile or laptop under 600,700,800 or 1000Rs, then your search ends here. While choosing earphone my priority is to bass then comes mid range and finally treble or highs. So if you are also a bass lover, then you will be going to love these earphones that are below on this list. For those who likes treble, I have also added three headsets for them. I have divided this post into two parts. In the first part, I have written about best earphones under 1000 Rs. In the second part, I have included best headphones under 1000 Rs. This post is lengthy but here you will find all type of headphones that are best. Part 1 begins here and second part is after that. First three headphones in this post are my favorite. Sennheiser CX 180 is the best earphone if you are looking for impressive clarity and bass. Nowadays, I Use CX 180 while traveling and when I am outdoor. I will say just buy it without any doubt. Although Sennheiser CX 180 is best earphones below 1k, it doesn’t come with an inbuilt mic. So if you are one for whom the mic is the must, then consider others options here. JBl C100 SI and Asus AHSU001 Zen earphones, both are best earphones below 1k with the mic. Although first three are my favorite, it doesn’t mean that rest are bad earphones. Rest 6 earphones are also good considering their price and sound quality they deliver. Top 10 best earphones under 500 Rs for bass heads. 8 best over-ear and on-ear headphones under 500 Rs. Best in-ear, on-ear and over-ear headphones under 2000. Sennheiser CX 180 is the first pick in our list of best earphones under 1000 Rs. From music quality to looks it has got full marks. It is very light in weight and perfectly fit in ears. The only thing that it lacks is an inbuilt mic. If Sennheiser could have provided an inbuilt mic with this earphone then, it would have been a killer headset. But still for the price it is the best pick. It provides a good noise cancellation due to its design. When I tested it for the first time, I was surprised to hear the crisp and clear sound with natural bass effects. I would give it 5 rating for its impressive music quality. Its highs lows and mids all are pretty balanced. Sennheiser CX 180 is very compact and comes with 3 earcaps with different size. So just change the earcaps with your ear size to get the best bass effect. It has L-type gold plated audio jack which is again a plus point for this earphone. The best thing about this earphone is that it comes with 2-years warranty. No another headset company is providing two years warranty on their budget headsets. Do you love bass boosted songs? Then you rather buy above earphone Cx180 or Asus Zen earphone or Soundmagic ES 18. But if you like old songs, love songs or normal songs then you will be going to love this headset. Because it has good vocals and treble. But the treble suppresses the bass which is a bit annoying to me because I just hate treble above normal. So the decision is very clear if the preference is to bass buy Sennheiser CX180 otherwise for microphone and treble both buy JBL C100SI. Coming to the comfort and durability of the earphone. It is very lightweight and comes with three ear tips that you can change according to your comfort. It is available in three colours red, blue, white. So it’s up to you which one you choose to depend on your taste. JBL C100SI comes with a high-quality inbuilt mic that does its work well. It has gold plated 3.5mm audio jack which gives better sound quality with very less distortion as compared to typical audio jacks. The third option in our post of best earphones under 1000 Rs with the mic is Asus AHSU001 earphone. Asus is not primarily an audio device company. But Asus had done a good job with its earphones. Asus AHSU001 Zen earphone comes with an inbuilt microphone. The default ear tips fit comfortably and don’t slip away easily while jerking motions. It comes with three different size ear tips for various ear sizes. Audio quality is good no doubt about it. I have listened to all type of songs, and it works pretty well. Bass and treble both are balanced which is good. You will get a good noise isolation from external noise but not as much as compared to earphones mentioned above. This is available in only one color black. Lookswise Asus Zen earphone is average. So overall its a good pick for those who needs the best headset with mic under 1000 Rs. So So overall Asus AHSU001 earphone is the best in-ear headset under 1000 Rs with the mic. Soundmagic is known for providing an excellent music experience at low cost. These earphones come in two variants one with mic and another one without a microphone. There is a difference of about 150 Rs in their prices. But there is no difference in sound quality between them. Audio output was magnificent considering the price. You will love to listen to songs on this. Whether you hear to high bass, treble or you just listen to ambient music, Soundmagic will satisfy your needs. Just tweak your equalizer settings to get the desired output. Earbuds are very soft, and you won’t feel in using them. It has gold-plated L-type audio jack which is good. Like most of the earbuds, this one also reduces external noise and gives interference-free music experience. Soundmagic ES 18 comes in two color variants red, black combo and pure black. I like the black one. I always prefer Sennheiser not because I am a brand freak but because of the sound quality and durability of the earphone. This earphone could be in the first position if Sennheiser reduces its price. CX 180 and CX 213 have negligible difference in sound quality, but there is around 100 to 200 Rs difference in their price. So considering price CX 180 is a better choice. But regarding bass CX 213 is somewhat better as it has much deep bass. But most of the peoples don’t consider this. So if the price difference is below 100 Rs then think about CX 213 otherwise go with cheaper one. This earphone comes in various colour variants black, gray and blue. Other than that there is no considerable difference in dimension and looks of both the earphones. This earphone is one the most selling earphone on Flipkart, Amazon, and Snapdeal. I have used 2 JBL earphones and one headphone in the past, and all lasted for a long time. I like JBL for their strong and sturdy headsets. Usually, my earphones don’t last long due to jerky stretches. But still JBL one lasts for 1.5 years. JBL T150A comes with an inbuilt microphone which is excellent. I haven’t faced any problem during calls, audio was clear. Coming to the sound output, I was a little disappointed because of more treble than my taste. Everybody have different music listening taste. My friend likes it very much because he is not a bass head like me. But the treble and bass can be adjusted with the equalizer. Bass was tight and profound; You will love watching movies on it. It provides excellent noise isolation. I like the fitting of this earphone; default earpads fits perfectly to my ears. There are also two extra ear tips included in the package. Audio Technica is well known for high-quality headphones and earphones. CLR100 is the first option when you look in best earphones under 1000 Rs for awesome clarity in sound. Though bass was not that punchier as compared to other earphones above. But due to audio clarity, it is worth buying. If you don’t need boomy bass and just looking for a well-balanced audio output then buy this one. It will cost you around 600 Rs. Looks and fitting were right; I didn’t get any disappointment. In the package, you will get two extra ear pads, cord wrap, and earphone. The company provides wire wrap with it which can be used to wrap the earphone cord on it to prevent tangles. Below two earphones are different from above earphones. These earphones are not in-ear type. Some peoples don’t like in-ear headphones; that’s why I have included these two earphones. Philips SHE3205 looks very stylish. Its design is somewhat like Apple earphones. Design and fitting wise SHE3205 is a good pick. It has an inbuilt mic which does its job very well. Bass was very rich and sound output is quite high. So you won’t face any problem in traffic or some noisy place. Though you will not get very good isolation to external noise as in rubber in-ear earphones. Sound quality was clear and crisp even at high volumes. I haven’t faced any distortion on mobile. It is available in various color variants all looks eye catching. This one is the last earphone in our list of best earphones under 1000 Rs but not the least. Sennheiser MX 170 has better sound than above Philips SHE3205. But as Philips, one has a microphone, so I have to place it above MX 170. So if a mic is not your priority then prefer Sennheiser. Also, I found Philips fits better in my ears than Sennheiser and Philips one looks more stylish. But on the audio standard, Sennheiser is the clear winner. I don’t understand why Sennheiser doesn’t provide mic with their earphones. Anyways, Sound quality is awesome. Bass is quite good due to bass-driven stereo sound. I like one thing most about the Sennheiser earphones which is the extended warranty period. This earphone also comes with two years warranty. I always start with bass, Why? Because good deep bass is something that should be there in any earphone and headphone. Without good bass, today’s music doesn’t feel good. In the first part of the post I have covered all the in the ear earphones and now we will unveil best headphones under 1000 Rs for bass in India. Here we have included best over the ear and on the ear headphones under 1000 Rs. Sony MDRXB250 is the best headphone under 1000 Rs for all bass lovers like me. This headphone is from the Sony popular extra bass headphone series. This headphone is amazing when it comes to bass. It can play deep up to 5 Hz frequency sound which no other headphone could do in this range. Sony MDRXB250 headphone has swivel folding design that lets you carry your headphone everywhere. And you don’t have to worry about damage during travelling. When I first put on this headphone and turn on the music I was glad to feel the deep bass in my ears. This on-ear headphone will be your perfect ready to go companion. From vocals to treble everything is well balanced. JBL T250SI is the second headphone in our list best headphones under 1ooo Rs. Now let’s see what makes it one of the best headphones below 1000 Rs. This headphone is one of the rated and most reviewed on ear headphone. It is an on ear headphone and fits on ears. Despite being on ear headphone, you can use it comfortably for long hours without having ear pain. On the design front, it looks very premium. JBl Logo in the center gives it a premium touch. It is lightweight and can be used outdoors. It doesn’t come with swivel headband which is a bit disappointing to me as I travel a lot. JBL is also known for durable and sustainable products. This headphone is not bass heavy like the Sony MDRXB250, but it has enough bass to enrich the music. It is also cheaper than Sony headphone. Audio Technica ATH-S100 is an on the ear headphone. Both JBl T250SI and this headphone are equally good regarding audio quality. But Audio Technica ATH-S100 is more comfortable to ears than JBL headphone. But there is a price difference also. So I will leave this decision to you. 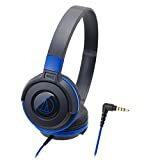 If you could pay more than Audio Technica headphone is the best option. But ATH-S100 is somewhat better than JBL T250SI when it comes to bass. It can play low-frequency bass more effectively. But In vocals and treble part both perform really good. So you won’t be dissatisfied with this product. Sound clarity is excellent. While listening to music, you can head each and every detail in the music. You can easily differentiate between different musical instruments. Sennheiser HD 180 is an over-ear headphone. Over-ear headphone provides extra comfort to listener’s ears. This is only one best over-ear headphone under 1000 Rs. This headphone is not bass heavy. I mean it has good vocals, treble, and good bass. But when we compare it to Sony MDR XB250 regarding bass it loses the battle. Even JBL T250SI and Audio Technica headphone have better bass than this. Then how this headphone is worth the money you pay? The main advantage of having this earphone is over the ear. If we use on-ear headphone for a long time, our ear starts paining. Most gamers who play for long hours prefers over ear headphone. This is the good option for watching movies and playing games and listening romantic songs. But if you like dubstep, EDM or bass boosted songs than this one is not for you. This headphone is second last on our list of best headphones under 1000 Rs. But this doesn’t mean that it is inferior to them. This headphone is an over the ear headphone with awesome bass. There are only two over-ear headphones in this post. First one is Sennheiser HD 180 which is superb for comfort, vocals, and treble. Philips SHL3000/00 performs well in every department, but it is best for bass lovers. Philips SHL3000/00 looks very stylish. It is very light in weight. You won’t feel like you are using an over the ear headphone. It doesn’t come with gold plated audio jack which is a bit disappointing about this headphone. But overall considering the price it is a worth buying. This headphone is for all those who need the best headphone around 600 Rs with deep bass. Philips always provide the best quality at affordable price. It has swivel headband which facilitates the user to carry it in the bag. I have used this headphone for the whole day. Sometimes due to rough usage it faces some jerks but still it was working fine. The headband is adjustable so that you can fit it according to your comfort. This headphone looks stunning. I have listened to all types of songs on this headphone, and it did pretty well. I ordered this headphone for my friend during a sale on Amazon. Fortunately, he got it by paying 500 Rs. It’s been around four months (at the time of writing this post), and it is performing well. The bass is impressive, so is the clarity. So we have finished our list of top 15 best headphones (earphones) under 1000 Rs with awesome bass and outstanding clarity. Now it’s your time to take a decision and buy an earphone. If you have any doubt, question or suggestions then comment down below. I will be happy to help you out in choosing the best headphone for you. I have worked very hard to write this article. It took a lot of time, energy, and money to do the review of earphones. So if you like this article, then do me a little favor. Just share this article link on Facebook, Twitter, and any other social networking site that you use. Your one share will help us to grow and help others. I was confused between JBL C100SI and Sennheiser CX 180. After reading a lot of positive things, I bought CX 180. Really this earphone is amazing. Yeah, Sennheiser CX 180 is the best earphone under 1000 Rs for realistic bass and awesome sound clarity. You won’t miss any bit of music detail in this earphone. If you look for on paper specification of both JBL C100SI and JBl C150SI both are same. Both looks same, and one can’t easily find out which model is this among two. I haven’t found any considerable significant difference between both while listening music on them. So I would suggest you buy which one you can get at a low price. JBL always does confusion between it’s earphones. Same is with JBL T100A and JBL T150A. But in this case, JBL T150A beats JBLT100A by a small margin. I am a bass lover. I have already CX 180. But it lacks microphone. So suggest me under 1000 rs for best music experience. For earphones with mic and impressive bass, you can check Soundmagic ES 18 and Asus AHSU001 earphone. For normal bass and good clarity JBL C100SI is decent earphone. Among Soundmagic ES 18 and Asus Zen earphone, my priority is to Asus zen earphone. For more info about them read the above part of this post. PS- I’m an Engg. Student and I need rough and tough usable Piece. Philips SHE3200 is a decent earphone. Maybe you are expecting more at this price. I think that you are talking about Sennheiser CX 180 and you misspelled it as MX 180. Anyways, Sennheiser CX 180 is way better than Philips SHE3200. If you could spend more than buy Cx 180 without any doubt. I am sure you will get that music quality you are hunting for in this. It is not easy to choose when we have various choices of the same thing. Sennheiser CX 180 for me. Thanks for sharing. I already have a soundmagic es 18 but the left stopped working after 10 months. I was really happy with it until then. 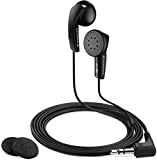 Is there any earphone with mic better than this in this price range for balanced bass and treble and which is more durable. Is cowan em1 worth trying ? Buy JBL C100SI or Asus AHSU001 earphone. Both earphones are very good in their price range with a good quality mic. Asus AHSU001 is better in terms of bass. But looks and fitting wise JBL C100SI is perfect. Both the earphones you mentioned above are also good. But Cowan Em1 doesn’t have an inbuilt mic which I think is a must for you. House Of Marley is good but not as good as JBL C100SI and Asus AHSU001. If the mic is not a priority, then you can consider CX 180 and Cowan Em1. SONY MDR XB250 is always over 2K. Check again, Right now it is priced at 1100 Rs on Amazon and sometimes price comes down to 999 RS. I am a bass lover. Is Philips SHE3205 is better than sennheiser cx 180? Sennheiser CX180 is way better than Philips SHE3205 when it comes to bass and noise isolation. Moreover, CX180 is more comfortable and comes with 2-years warranty. So I would suggest you go with Sennheiser CX 180.